A Moisture Analyser, or Moisture Balance, is a balance with a built in heating chamber to dry a product and then use the before and after weights to provide an accurate moisture reading. Moisture analysers are suitable for determining moisture in food products, grain, straw and hay, wood products, plastics & waste water. Moisture content can be measured by various methods, including drying, the Karl Fischer method, the dielectric method, the infrared absorption method, a neutron analyser and the crystal oscillation method. Of these methods, heating and drying and the Karl Fischer method are most frequently used in laboratories. In the heating method used by moisture analysers, the sample is heated to dry the sample and to evaporate its water. The moisture content is acquired by the reduction in sample mass after drying. Weight loss gradually increases as a sample gets heated and finally reaches a constant value at which time the result is displayed. Depending on the products characteristics, samples may thermally decompose and vaporize if the heating temperature gets too high and this may result in a loss in mass that is not be completely water and this can cause an error in the results, however, optimal sample sizes, along with optimal heating conditions such as temperature and heating time can give results that are comparable to those obtained by methods such as the Karl Fischer method. Please give us a call to discuss your requirement and we can advise you on the optimal temperature. Compared to other methods, heating has clear and simple measurement principles and procedures. Furthermore, it requires minimal amount of equipment, which can be purchased, run, and maintained at a low cost. 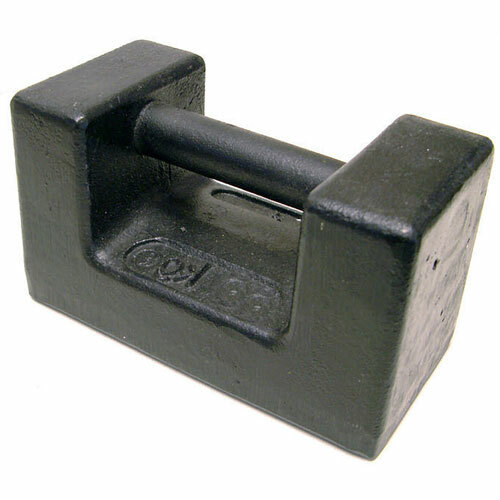 Due to these factors, it is suitable for a wide range of users and applications (samples). Its measurement range is from 0.01% or 0.1% to 100%, so even samples with almost 100% moisture content can be correctly and easily measured. For most products a prepared sample with a weight of 10g will give an even layer on the base of a sample tray and this is ideal because you will get a fast result and it will allow all the moisture to evaporate rather than some becoming trapped under a skin or crust. Where possible the product should be placed on a sample tray in a powder or crushed form so that the moisture can evaporate quickly and fully. We recommend using disposable sample trays that are available for all the moisture analysers or alternatively make sure that a re-usable sample tray is clean and totally dry prior to use of your results will be compromised. If you are using a wet sample that is likely to form a skin such as milk then we recommend using fibre pads on top of the sample pans to give the sample a 3D profile and this will allow the sample to dry fully without the skin becoming thick enough to trap moisture. We make animal biscuits and need to monitor the moisture levels of the product on our production line. Which moisture analyser is a good choice for me? If the target moisture content is in the region of 10% and the accuracy required is +/- 0.1% then the Ohaus MB 25 Moisture analyser would be a good choice. 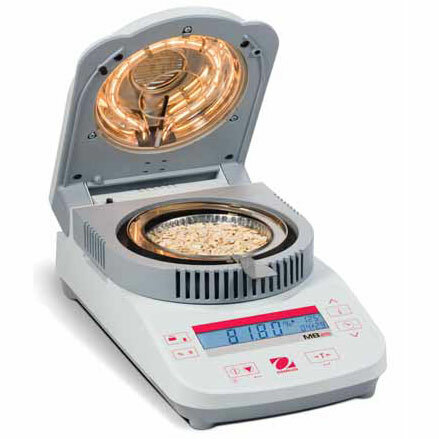 With a normal sample size of 10g, which is enough to cover the base of a sample pan the Ohaus MB 25 has a quoted readability and repeatability of +/- 0.05% and with its fast heating halogen element it should be able to give you the results in a few minutes so you can have the results quick enough to make adjustments to your process if required. The Ohaus MB25 also has a loadcell weighing sensor and is more resistant to dust than some other moisture balances. 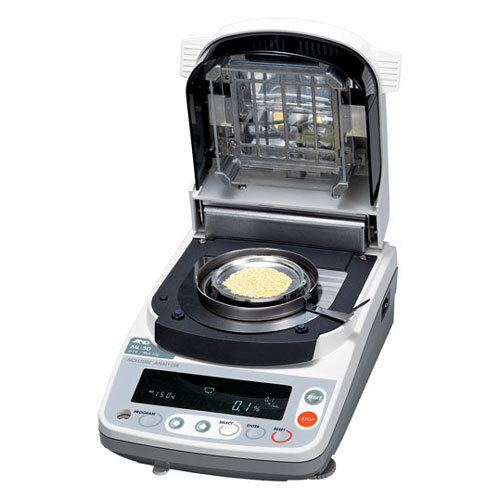 We are a manufacturer that need to measure moisture content in plastic granules, which analytical balances should I consider? When measuring moisture levels where the expected moisture level is in the 0.1% range you will require a very accurate analyser. A normal 10g sample with a 0.1% moisture level see a weight change of only 0.01g between the pre-dried and dried weights. A moisture analyser with a 0.001g resolution and an accuracy of +/- 2 divisions will have a maximum accuracy (in a perfect test conditions) of +/- 0.02% but in the real world the accuracy may slip to +/- 0.04% and this would not be good enough if you need to know if the moisture content is below 0.1% when the balance is displaying 0.08%. For measuring moisture content in plastics, PCBs and similar we always recommend and our customers have always been happy with the excellent A&D MS70 moisture analyser with a 0.0001g resolution and a quoted accuracy of 0.01%. All moisture balances can measure both the % moisture and the % dry matter of a sample so all of the moisture analysers can perform this task but when you are measuring dry matter in liquid samples with only a small amount of dry matter you may want to use a larger sample even though it will take longer to evaporate to improve the accuracy of the result. A larger sample will give more accuracy because you can take a larger, more representable sample or combine small samples and the balance will give a more accurate result if the final weight (dry matter) is larger. Depending on the expected percentage of dry matter and the accuracy required either the Ohaus MB23 moisture analyser or the Radwag MAC moisture analysers, both of which can take lager samples may be the best choice. Please call us for advice. The A&D moisture analyser user guide provides further information including a suitable drying temperature tables.